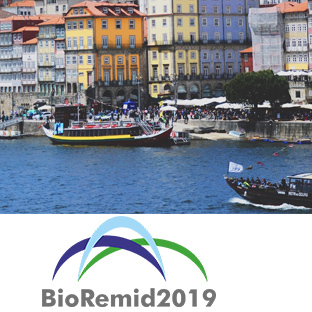 The second edition of the International Meeting on New Strategies in Bioremediation Processes (BioRemid2019) will be held from 24-25 October 2019 at the Almeida Garrett’s Library, Porto, Portugal. The objective of this meeting is to bring together scientists and industry professionals in a friendly environment, in order to share the latest developments and innovations to face environmental problems. In particular, topics such as identification and monitoring of biohazards, strategies to remediate sites polluted with emerging and priority pollutants, new biodegraders and consortium-based strategies, the impact of anthropogenic activities on the native microbial communities and waste recovery will be discussed. Other topics such as modeling and new treatment technologies will be also considered. For the best short presentations of posters by young researchers (Master or PhD students), there will be three awards. For more information, click the image bellow.